English Bites! - A Rose Is A Rose Is A Rose! Review : Is the English language your biggest nightmare? 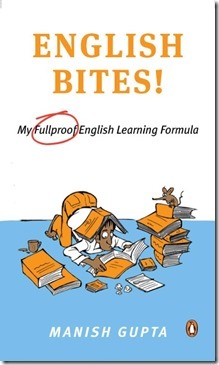 Are you looking for a fool proof English learning formula. Then, English Bites! is the book for you! English Bites! is the author’s own journey with the English language. The book charts his struggles and success with English, right from his school days to college and then later to his work life as a banker. In a very interesting manner with illustrations and anecdotes, humour and wit, the book acts as a learning guide for English. What I liked about the book is that there are footnotes explaining the meaning of the words, their origin and interesting trivia on each page. So, one is not referring to a dictionary or leafing through the supplementary material at the end of a book, frequently. Though initially, it was tough reading an interesting anecdote in the first half of the page and then reading the second half of the page which had meanings, usage and some fun facts about difficult words. But as the book progressed, I enjoyed the process of reading the story and learning new words or validating my knowledge, simultaneously. ‘Pls do read the book slowly….a chapter or two at a time’, suggested the author in one of the mails that we exchanged and I followed it religiously. And this helped to soak and absorb the new words and their meanings better. There are over 1000 new words to add to our vocabulary. The first half of the book deals with Manish’s initial journey as he explored the various tips and tricks like mnemonics, limericks, rhymes, alliterations, and trivia to learn and remember words and their usage. It also throws light on various word plays in English language like Amphibology(ambiguous grammatical usage) isograms (words in which no letter of the alphabet appears more than once), lipograms (words containing a particular letter have been deliberately omitted), palindromes (a word, phrase that reads the same backward or forward), oxymoron (a figure of speech in which incongruous or seemingly contradictory terms appear side by side), homophones (words that sound the same but have different spellings/meanings) etc. The focal point in the second half of the book is general knowledge with trivia that spans areas like brand names, automobiles, fine dining, love, money, banks, science and B-school jargon. While the first half is more engaging and has a conversational tone, the second half is a bit formal and is more of a matter of fact writing. English Bites! is a big fat book of knowledge and learning. I believe a 200 page book would make it a breezy read, though. English Bites! is a must read for all CAT, XAT, GRE, GMAT aspirants and all those who love examining the vagaries and idiosyncrasies of the English language. English Bites! is not a one time read but something that I would like to read and refer to, from time to time. Is this a memoir or English guide or both? It is both…a memoir and a fun guide. The book is the story of my life. It begins when I am in high school and much of the damage to my understanding and grip over the English language has already been done. It ends when, even after spending 20 years as a devoted student of the English language, and having achieved my goals of getting into engineering, securing one of the best jobs engineering has to offer, getting into a top-tier MBA program, a medico wife, kids attending convent school, and a reasonably senior position in a multinational bank, I am stumped by new discoveries every other day. So much so that I find some unfamiliar English words in the nursery rhymes of my kids. My extended student life as far as English language is concerned continues and it’s an exciting journey. Come, join the fun. The book is a crazy mix of facts, fiction, and real-life. It is full of amusing incidents, anecdotes, jokes, and a lot of interesting trivia. If anyone believes that English language is a handicap (big or small) in their career advancement, social acceptability, and affects their self confidence, they can take a look at English Bites! If you are a language nut, you can take a bite too. There is something in there for you too to chew, relish, and cherish. Is it available in the market? Want to get a copy ! Sreeja, I must compliment you on a great decision! A word of caution from my end – pls read it slowly, a few pages at a time, and not more than a chapter a day. This is the only way to relish and cherish its delicious bites. As one blogger said is her review: “This book needs to be savoured and not devoured.” Please read the footnotes purely on a need to know basis and preferably read the book twice. Happy reading! I read you wonderful review and your gracious rating. I am honoured that the book has been of some use to you and helped to further fuel your love for this language. I have noted your feedback and would like to take care of this in the second edition of the book or at least in the new book on this subject that I have recently started writing. I am counting on your support to spread the good word about the book esp. when people ask you for recommendation on books to improve their language. And I am sure, given your background and the accomplishments in this field, there are just so many of them who keep seeking your guidance. It was a pleasure to read, soak and absorb so much from English Bites! Looking forward to read your second book too! Taking the liberty of addressing you by your first name. 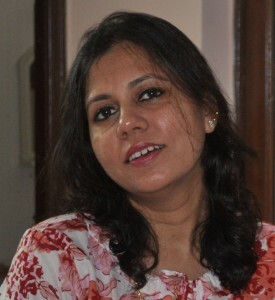 I spend some time earlier today going thru your blog http://www.vidyasury.com and was impressed by the range of topics you are passionate about and write on. Sounds interesting. But for your review I would have dismissed the book as something for beginners, simply going by the cover. Seems like it’s worth a buy. Checking flipkart. PS: I am checking on your blog http://www.obsessivemom.blogspot.in/…looking interesting. Have subscribed. PS: I have discovered your blog Ishithaa and will come back to it on the weekend. Looks interesting on a quick persual. PS: I have checked your blog, loved the pictures, and subscribed to it. Hope to enjoy your blogging journey with you. A very interesting book with a very inviting title 🙂 Added this to my reading list. PS: I have checked your blog http://cerebralbabbling.blogspot.in and subscribed to it. Hope to enjoy your blogging journey with you. That’s nice review…I am checking this on Flipkart as I am writing this comment! thanks for informing us abt this book! PS: I am happy to discover your blog http://hummingwords.blogspot.in/ and have subscribed to it. Will visit it more thoroughly over the weekend. I thank you for your interest in English Bites. I am humbled that you are calling it a collector’s item. All I can say that like most books, it has its share of highs and improvement areas. It is indeed a fun book and is loaded with anecdotes, trivia, jokes, illustrations, and of course English. You can get it from any of the bookstores like Oxford, Crossword, Landmark, etc. and and all online re-sellers like Amazon.in, Flipkart.com, Uread.com, Shopping.Indiatimes.com/books, Infibeam.com, ebay.in, Snapdeal.com, etc. etc. Amazon.in is currently offering a large discount on books (as are all other resellers) with the additional sop of free delivery regardless of the value of purchase. You can also order an eBook version of English Bites! from Amazon.in or Apple’s Book Store. PS: I am now following you on your blog http://www.shreshar.blogspot.in/. I hope to enjoy your blogging journey with you. I thank you for your interest in English Bites. Yes, it is available as an ebook. You can order it from Amazon.in or Amazon.com or from Apple’s iStore. You can also get a physical copy from any of the bookstores like Oxford, Crossword, Landmark, etc. and all major online re-sellers like Amazon.in, Flipkart.com, Uread.com, Shopping.Indiatimes.com/books, Infibeam.com, ebay.in, Snapdeal.com, etc. Sounds quite interesting…usually English books are very boring this sound fun. I thank you for your interest in English Bites. It is indeed a fun book and is loaded with anecdotes, trivia, jokes, illustrations, and of course English. If you would like to taste, relish, and cherish its delicious bites, you can get it from any of the bookstores like Oxford, Crossword, Landmark, etc. and and all online re-sellers like Amazon.in, Flipkart.com, Uread.com, Shopping.Indiatimes.com/books, Infibeam.com, ebay.in, Snapdeal.com, etc. etc. Amazon.in is currently offering a large discount on books (as are all other resellers) with the additional sop of free delivery regardless of the value of purchase. You can also order an eBook version of English Bites! from Amazon.in or Apple’s Book Store. PS: I am now following you on your blog http://somethings-sugandha.blogspot.in/. I hope to enjoy your blogging journey with you. Hi Shilpa, I liked the peppy title of the book and it sure sounds interesting from your book review. I think this will help me tutor my son more methodically when he asks me a lot of questions relating to the English language. Will grab my copy soon, thanks for your recco! I think it’s great that we have writers like Manish Ji to bring out books on topics like this that address contemporary dilemma that many of us face while using or teaching English language. Kudos to the author and all the best for forthcoming books as well! I thank you for your kind words and for your interest in English Bites. 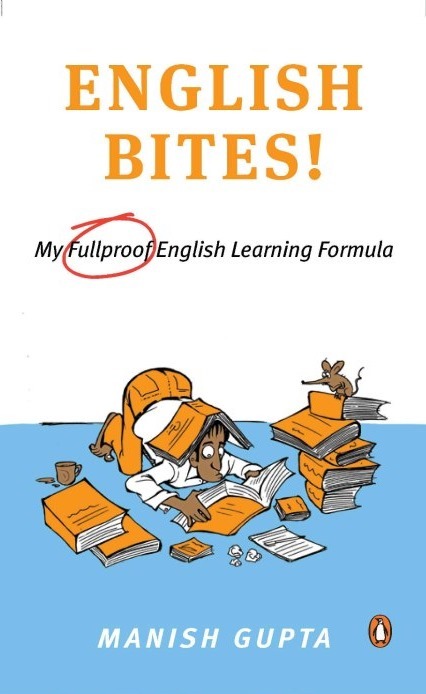 It is indeed a fun book and is loaded with anecdotes, trivia, jokes, illustrations, and of course the central purpose is to make English learning fun. I have covered English vocabulary, pronunciation, grammar, and a little bit about spoken English and punctuation. I hope both you and your son will relish and cherish its delicious bites. You can get it from any of the bookstores like Oxford, Crossword, Landmark, etc. and and all online re-sellers like Amazon.in, Flipkart.com, Uread.com, Shopping.Indiatimes.com/books, Infibeam.com, ebay.in, Snapdeal.com, etc. etc. Amazon.in is currently offering a large discount on books (as are all other resellers) with the additional sop of free delivery regardless of the value of purchase. You can also order an eBook version of English Bites! from Amazon.in or Apple’s Book Store.